News from LMCU: Kids! Read Five Books and Enter to Win $100! Kids! Read Five Books and Enter to Win $100! 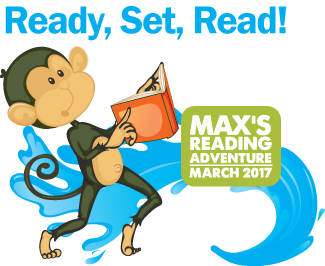 To help encourage young readers, Max’s Reading Adventure challenges our Kids Club members to hit the books for a chance at a $100 deposit to their account! It’s easy to get in the running. The challenge is to read at least five books during the month of March. Just stop by any LMCU branch to pick up an entry form or download one from our website. Then, after finishing a book, log it into the entry form. When five books have been completed, drop the entry form to the nearest LMCU branch. Each branch will select one winner. Everyone receives a sticker!